My first cover from Latvia, sent by postcrosser Heidi for Nice Cover Circuit in postcrossing forum. 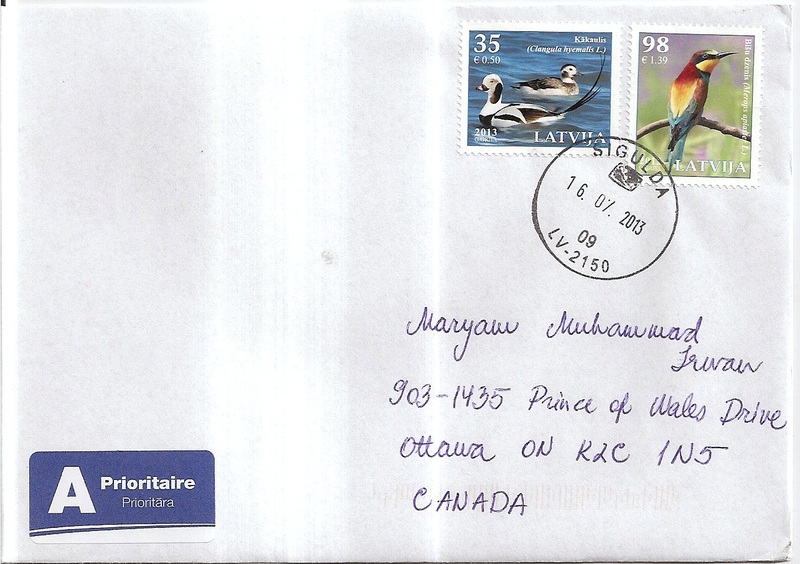 On the cover, Heidi used two bird stamps. The postmark date is 16 July 2013 and the location is Sigulda. Thanks a lot Heidi!